What can be more ordinary than trees? 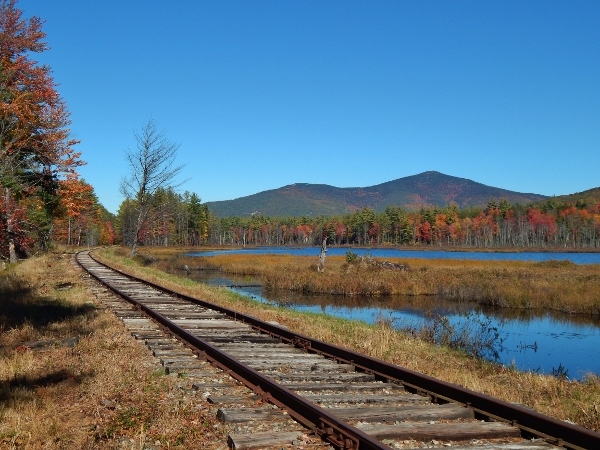 New England & New Hampshire’s fall foliage is anything but ordinary and known around the world. During the fall one must leave extra travel time when the “leaf peepers” are out, filling the roads with people driving around looking at the brilliant colors and looking for the perfect tree. I have driven past this corner (locally known as “dead man’s corner”) hundreds of times. 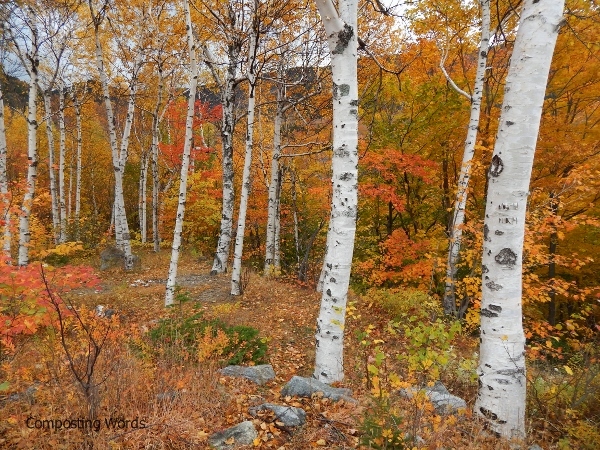 But in the fall, the colors against the white of the birch tree trunks truly becomes extraordinary, even on an overcast day. In fact several tourists stopped here as well to take pictures while I was there. 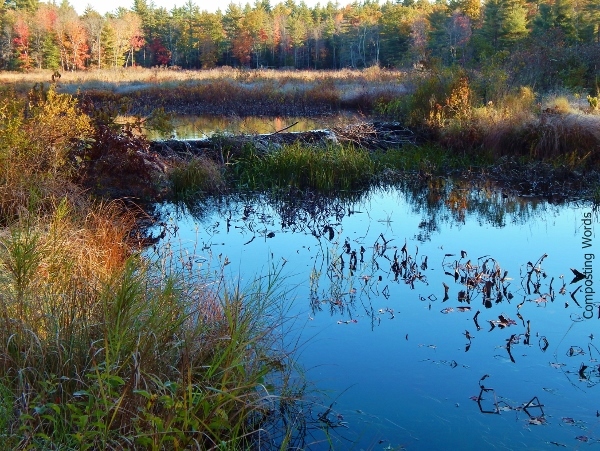 During the summer, one barely notices this wetland through the trees along these train tracks. I walk in the town forest frequently throughout the year and though in many ways it is no place special, it always feels special to me. 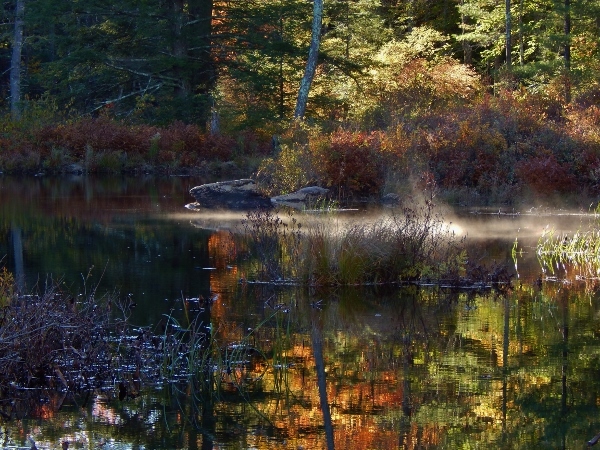 This morning when I walked in to watch the sun rise, I could hear the leaves falling off the trees, a couple of chickadees calling to one another, heard some deer moving around and saw a muskrat swimming in the beaver pond. I have been traveling past this spot since I was a kid. 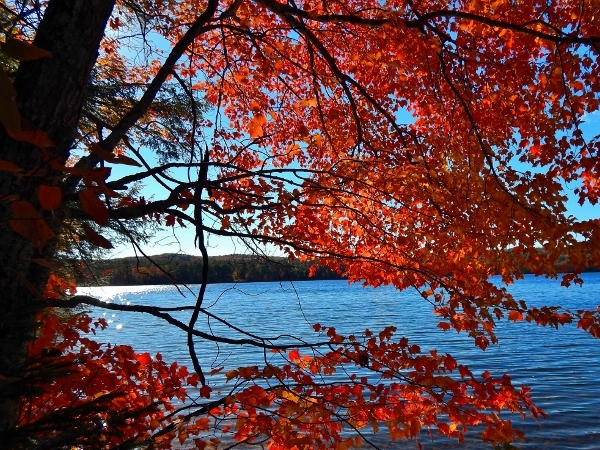 It is especially picture perfect in the fall when the trees along the shore of the lake turn brilliant reds, oranges & yellows. This field is alongside a very busy road and it normally would not attract too much attention. 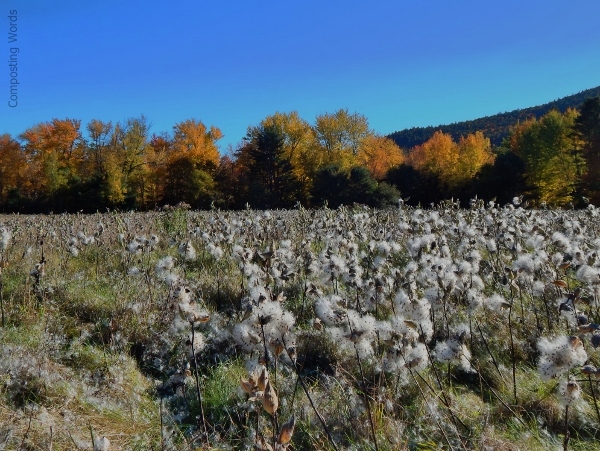 But it was truly extraordinary with the puffy white seeds of milk weed against the golden yellow foliage at the edge of the field. 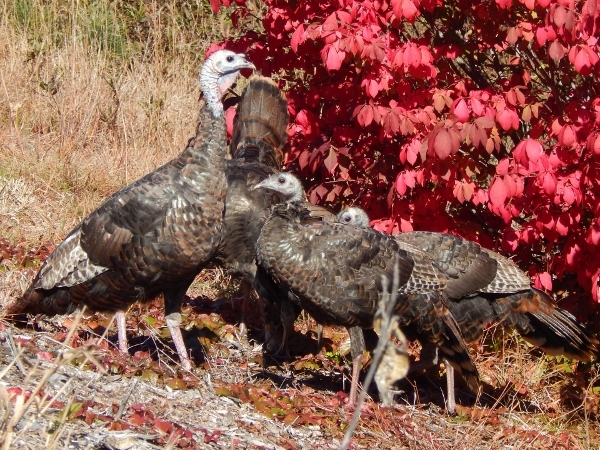 And lastly, turkeys which had become nearly extinct and were re-introduced into New Hampshire are flourishing and are commonly seen on the roadside. This family was playing hide & seek with me in and out of this burning bush. This ends my look at how the ordinary, becomes extraordinary with a little change in chlorophyll. For a look at other posts, check our (Extra)Ordinary, this week’s photo challenge. Yes, yes wish summer would last forever! 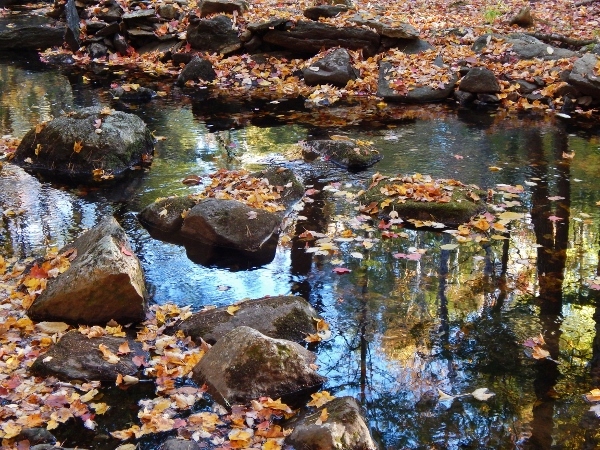 I love the contrast of the red leaves against the blue water in the third to last photograph. Gorgeous capture. Thank you! I’ve thoroughly enjoyed the colors this year!